Lifelong learning is an essential skill as a citizen in the 21st century. Life in the information age is one of constant change. Libraries are indispensable institutions, providing citizens access to materials, services and information experts. Libraries are job incubators and a space to be introduced to new technology. 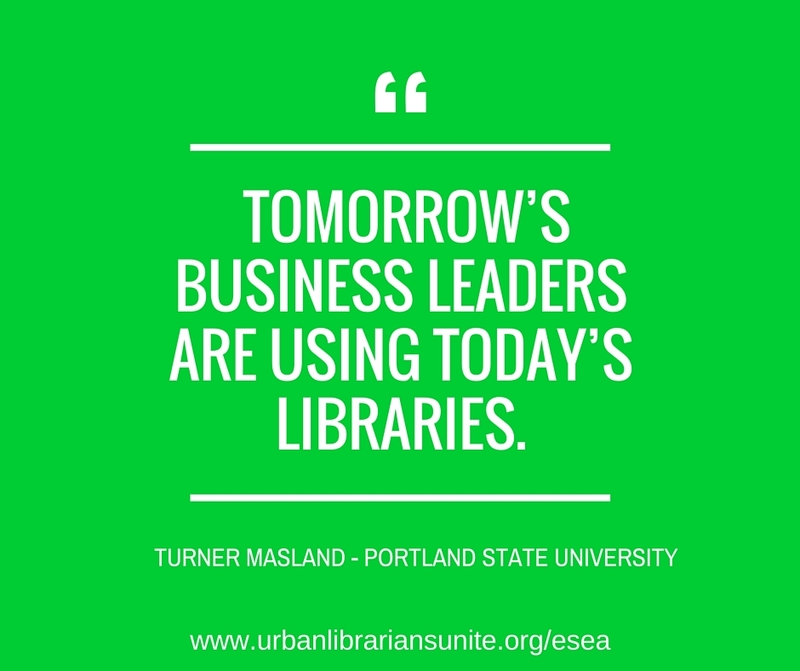 Tomorrow’s business leaders are using today’s libraries. Accessing libraries at a young age increases a child’s chances at becoming a lifelong learner exponentially. All children should have libraries in their schools and librarians to teach them how to navigate and utilize its resources. American libraries make America a great nation. American schools are not complete without it’s own library. What I remember most about Mrs. Abelson, aside from her red hair and the line of faded numbers tattooed on her arm, was her kindness. She loved children, and she taught me that a library is a place of safety and comfort and a place to access thousands of stories. It was a place to escape and explore. Academic librarians are always working with incoming freshman who are using the library for the first time. I am always more than willing to work with the new students, teaching them how to use our resources. It seems that it’s becoming a more common occurrence that new students have never used a library before. While an academic library is certainly more expansive and much different than an elementary or secondary school library, simply being exposed to a library and its catalog and databases and resources will allow them to start college with a strong educational foundation.